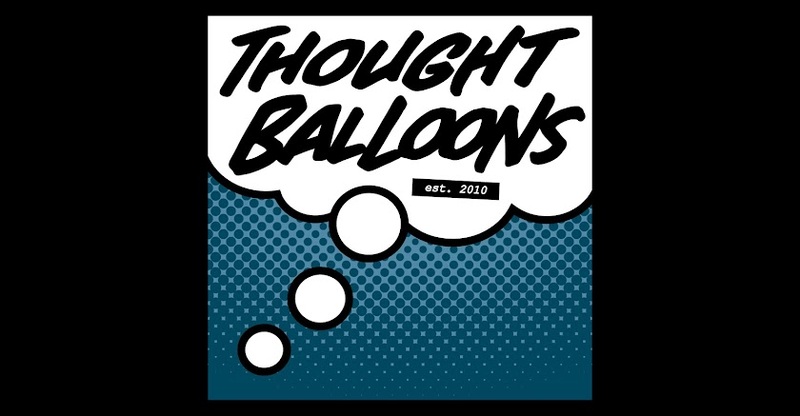 Thought Balloons - Creating Comics One Page At A Time: Why James Gordon? Maybe it's all I deserve, now. Maybe it's just my time in Hell." In a surreal world of crazy clown psychopaths, scar-faced murderers and costumed vigilantes, James Gordon represents our only glimpse of realism in Gotham City. He is a humble man, dedicated to combatting evil and corruption however he can, as best he can. His desire to save Gotham from its inherent darkness is unrelenting. He is a man we can root for, who sets the kinds of standards we hope our law enforcers can reach. James Gordon is a man with flaws, like us, who strives to do right and doesn't always succeed. Who fails and falls and gets back up again. Whose determination is something we can aspire to. Also? He's just a damn cool character who has thankfully been revitalised, initially under the stewardship of Scott Snyder in his Detective Comics run, and now continued in the DCnU. Gordon has been the focal point of some brilliant comics in the past and will surely inspire the Thought-Balloons crew to some of their best. As always we welcome you to join in below. Every family of heroes could use a Commissioner Gordon of their own. Batman's just one of the few who's lucky enough to actually get one. Detective Flint. Though only a Detective, he swerved the same narrative purpose. Commissioner Jim Gordon – I am Gotham’s Sense Of Pride - Shaun Richens. Panels 1 – 3 are equal size and run across the top of the page. 1.COMMISSIONER GORDON is running down a hall, six-shooter in hand. He is running past windows, the red and blue lights of Gotham’s P.D can be seen flashing through them; Gordon bathed in their light. 2. Gordon stops dead outside a door. His back is to the wall; the door stands to his right hand side. 3. The polished black leather shoe of Jim Gordon kicks the door open. 4. A huge window illuminates Batman who stands proud and tall over the laid out figures of three goons on the floor. He is bathed in the red and blue lights of the cop cars waiting for him out front. 5. Tight on Commissioner Gordon has he punches himself in the face breaking his glasses as he does so. 6. Same as 5. This time however Jim Gordon holds the side of his face with one hand the other holding his broken glasses. His nose is starting to bleed. GORDON 1: I had to make it look convincing that you got away. GORDON 2: Now get the hell outta here before I can’t help you. @Shaun - Yeah great page Shaun with some fantastic visuals. Love the red and blue of the police sirens being the focus of the colour. As for Gordon punching himself in the face - it strikes me as a selfish thing to do, as in he is saving himself rather than Batman. Is that what you were going for? @Ben The punch to the face is used for a few reasons. Firstly it was meant to kind of show how tough the shared relationship of Gordon and Batman is. Two i was trying to show the lengths Gordon is willing to go to to protect Batman. Lastly it was a little Fight Club moment. I kinda see the Gordon Batman relationship as a very similar relationship to that of Ed Norton and Brad Pitts characters in the fight club movie. Nine panel grid. First three panels are Gordon leaving the precinct building on foot through the front entrance, fishing for a packet of cigarettes in his pocket in a Gotham street. The fourth panel is Gordon's street level view exhaling the smoke. He sees the buildings around him as faces from the Gotham rogues gallery, where it isn't obscured by smoke. Bonus points if you can throw in trees or growing things as Poison Ivy. 1.1 Gordon walks down the steps, hands in pockets. Medium. 1.2 Gordon comes up with packet of cigarettes. Close. 1.3 Extreme close up on the burning tip of the cigarette. 1.4 Through Gordon's glasses (keep his chunky frames in the frame), we see, a human level view of a Gotham street in wild colors. The buildings should all have the faces of Gotham's most notorious citizens (good and evil.) The smoke, of course, obscures where you want it to. GORDON VO: These cigarettes are killing me. Shaun - very strong and bold page. I'm not certain the actions rings true to me, and they don't feel completely necessary just yet on the page, but as you go for it they work. zu - So, Gordon is getting high? Crazy page, I like it. As for structure, you've described everything twice and it was completely unnecessary. @ Shaun - I like the intention you're going for, if nothing else.